Hey there everybody....WOW! Have I had the busiest couple weeks of my life!!!!! I am so sorry I have not been keeping everything on the blog...I have literally been working night and day to get everything done for ALL of these amazing events that we are involved in. There are just not enough hours in the day and unfortunately I have to sleep. So, before I go any further I need to tell you all about the 2 FABULOUS Shows we have going on this weekend! Thursday & Friday 9 a.m. - 8 p.m.
and Second... Oh Sweet Sadie! This is a fabulous show! You won't want to miss IT!!! The other news I have is that we (Demi-Dos Products) can now be found at Cherished Moments Photography and Boutique! This is so exciting because up until now, Demi-Dos could only be found at Seasonal Boutiques and EXPOs. 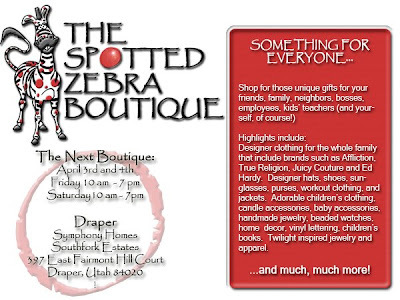 We were also featured on Good Things Utah yesterday along with a few of the other Cherished Moments vendors and we will be airing a Cherished Moments commercial featuring Sophie (and a few others) Sporting our DemiClip! It has been an exciting week! So, Come check out the Boutique! CM is hosting a Kutest Kid Kontest!!! 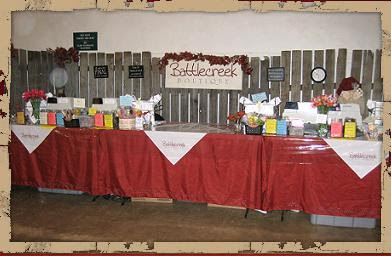 and If you are headed to the Battlecreek Boutique this weekend you are in luck cause Cherished Moments is right across the STREET!!! the address is 105 South 100 East in Pleasant Grove. and here is a cute picture from the show!